The Frapin family has been around the Southwest of France since 1270. Always active in the domain of winegrowing, they specialized in distillation much later on and have since continued to stand strong throughout twenty generations! The estate owns 300 hectares of land entirely in the Grande Champagne area, of which 200 are planted with vines. Frapin’s home in the beautiful caste Fontpinot in the town of Segonzac. The most famous family member was the 16th century author Francois Rabelais, after whom a prestigious Frapin cognac bottle is named: The Cuvee Rabelais. 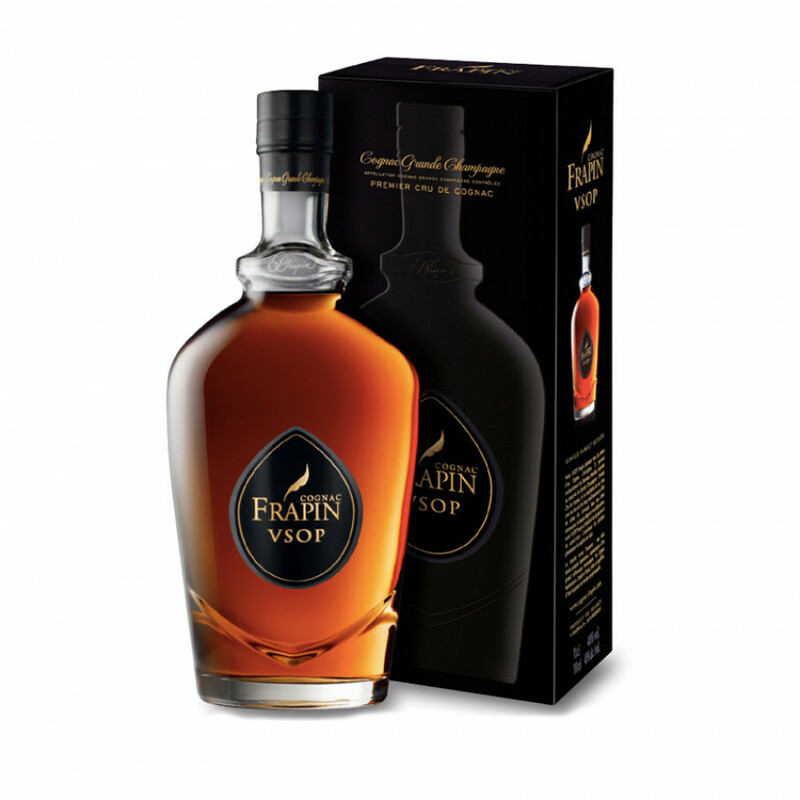 Like some other cognac houses, Frapin needs to extend business through diversifying into other luxury products such as chocolate or coffee. Frapin was the first cognac producer to invent a multi-vintage blend, combining vintages of different years to create the perfect taste. Tasting review by Frapin: A very vanilla Cognac with a long finish, dominated by candied fruits and hints of peppery spices. Tasting review: Eye: Warm mahogany with copper highlights Nose: Wild flowers, hawthorn, old port, cigar box Palate: A complex harmony of flavors, hints of vanilla, walnuts, haselnuts, dried fruits, dried flowers, subtle port, and rancio. Deliciously long and satisfying finish. Tasting review: Notes of dried fruit and almonds on the nose. On the palate there is a good balance between the cognac and the wood tannins from its years in oak casks. Smooth and round, it just melts in the mouth.